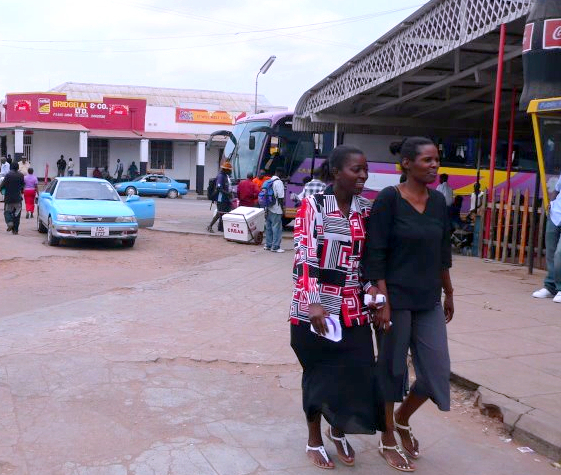 Beitbridge is both a town, a ward and a district in Zimbabwe. Particularly for Wikidata they are distinct; the town is together with other human settlements part of the ward and it is with other wards part of the district. In Wikidata it is best practice to associate buildings, monuments, bridges whatever with the lowest local authority. It is obvious that when you cannot find the associated item for an authority, or associated structures on maps such associations will not happen. Human settlements in Lesotho for instance will not be found because at this time they only exist as "black links".. eg here for the community council of Likhutloaneng in Lesotho. In order to find any and all of the African local authorities in a language, there has to be a label in that language. For us, in any and all of the Wikimedia projects we rely on our own labels, titles whatever. When we want to show them on a map, the best maps available will be more and more the OpenStreetMap maps. Thanks to a very important project just finished by Wikimedia developers, we can show localised labels. Our labels. To do this properly our and the OSM data needs to be linked on the object level. This provides us with map functionality in our 280+ languages and makes it obvious that the location for localisation is at Wikidata not OSM. Chemba is a ward in the eponymous district of Tanzania. 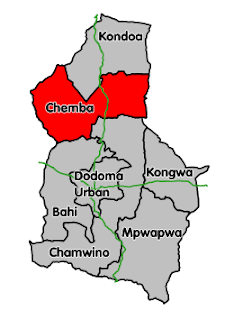 Chemba had 16047 inhabitants at the 2012 census. Lately a lot of additional information has been added to the existing articles (in Swahili or English) to Wikidata. There are plenty of practical reasons why Chemba is notable. In 2010 I blogged about the "Geograph" project in the UK. Britain was divided by a raster in order to have representative pictures for the whole of the country. Obviously we could do the same for any and all countries in Africa. They do have digital cameras in Africa, maybe not everyone but that is not the point. Africa is notable and, we want to close the gap in coverage of Africa. So we want to know about all the wards of Tanzania, not just Chemba. We need coordinates, maps and photos. There is census data for 2012 and all this, including maps and photos, can be shared in any language once the data is available in Wikidata. The point of all this; make obvious what we do know and what we know is missing. In the end, the devil is in the details but Africa is a continent full of bright people who can make the difference. When you visit the OkayAfrica website, you are kindly invited to learn about the 100 women celebrated in 2018. Having a list of 100 fine ladies is nice but what makes them really inspirational are their stories. All of them have been added as references for your pleasure in Wikidata. We do not have the same pleasure for the fine women celebrated in 2017. Most likely those stories existed once upon a time but as the Internet Archive only knows 100women.okayafrica.com in 2018 the 2017 stories are lost at this time. We only know about them through a secondary source. Kelly Foster added most of the 2017 ladies and we are now adding the remaining ladies to Wikidata. We would be very much obliged when the back stories as they were published in the past are added a reference.. Fine journalism deserves a place as a reference. When you watch this talk, you learn that teaching the alphabet with "A is for apple" is problematic in Africa. People do not eat apples, it is an exotic fruit, and it does not relate to the world of African children. In my #AfricaGap project I aim to enrich information relevant to Africans. I started with African politicians and added a map of Africa with labels in the local language. Thanks to Kelly Foster I added the 100 African women celebrated by OkayAfrica. This addresses the gender gap to some extend and adds a healthy dose of women in the mix. Kelly is adding the 2017 women and I am not done yet with the 2018 women. Obviously there are more politicians and, obviously the information about politicians is not complete. However, when people do add information about any of them it will update on Listeria lists on the English, the Zulu, Yoruba and Swahili Wikipedia. There must be other African awards as well.. Additional lists will happen when they do..
What the Ted talk taught me is that African food is different and, there is a point in highlighting these differences. There are categories specific for the national cuisine on the English Wikipedia. So when I am done with the OkayAfrica women African cuisine is next. PS I am happy when people suggest other subjects particularly relevant to Africa. Collaborating on exposing them using Listeria lists and maybe info boxes is what I can achieve. Listeria list are now updated on a daily basis on the Yoruba and Zulu Wikipedia. That is really fortunate because one person active on the Zulu Wikipedia is making changes in Wikidata and it now results in local changes. A next step could be info boxes to be used for the African politicians known in the existing lists. When African Wikipedias adopt lists like these, other subjects may become popular. Anything popular could do, soccer for instance. With information maintained in Wikidata, all Wikipedias could benefit. At some stage the perception that lists maintained as text in any Wikipedia is behind the curve. That moment will arrive for any Wikipedia and when it does, information becomes more timely and complete. It used to be that anyone could edit Wikipedia. In theory this is still the case HOWEVER with university students increasingly refining their skills on Wikipedia, with scholars featuring as "Wikipedians Fellow" for particular subjects, the quality bar has been raised making the environment increasingly hostile for non scholars. These scholars are active mainly on the English Wikipedia but the effects are felt everywhere; as it is perceived as the standard to aspire for. This is hugely problematic. Compare for instance these articles about Cyril Ramaphosa; the English and the Zulu article. There is little purpose in comparing them. 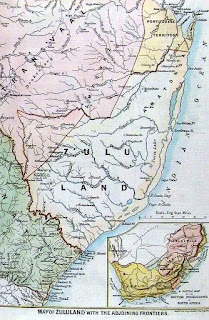 There are hardly any editors on the Zulu Wikipedia and almost every subject is missing; so what to do what to write? When you then apply the scholarly standards of the English Wikipedia, it is akin to insisting on Nupedia standards and, as an aside how much different are the Nupedia standards when they are compared with current English Wikipedia standards? What a Wikipedia like the Zulu Wikipedia needs is scaffolding for the information it wants to supply. Mr Ramaphosa is the current president of South Africa and a list like this would serve much better than the existing red link. With an English Wikipedia background you would not consider this because almost all basic information already exists. In Wikimedia publications on scholarly editing almost always English Wikipedia is the platform. Arguably the kind of articles written by scholars would not even fit. They would exist in a vacuum. 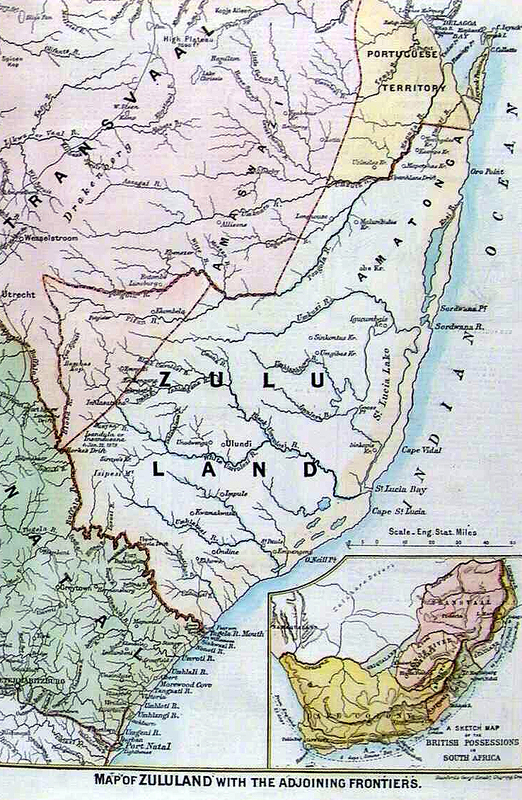 Arguably the kind of articles currently written by scholars have little context in a Zulu Wikipedia because the subjects have little bearing on what is relevant in an African context. Given the state of a Wiki like the Zulu Wikipedia, we do not need scholars. We need high school students who write many basis articles. We need many high schools with all their students writing articles. If anything for the majority of Wikipedias we do not need scholars. It would serve the Wikimedia Foundation well and consider less scholarly options. After the introduction of Listeria lists for African politicians on the Zulu Wikipedia, the question was raised how complete lists could be made available for the localisation of names and the positions held by these politicians. A good question. The answer is problematic. These Listeria list are the best we have available. Typically they are incomplete and it takes effort to make them complete. I completed the list of Foreign Ministers of Madagascar based on information from the English Wikipedia. To achieve this I added eight people to Wikidata and I merged one. The cool thing is that a similar Listeria lists will be updated daily with new and updated information. The same list could be used on 280+ Wikipedias and as you can see, there are many, many positions held by national politicians in Africa. For all of them you want more specific information and obviously, that is even more work that coule benefit 280+ Wikipedias. As no percent of Wikipedia is about Africans, it is great to learn how "map internationalisation" works on African language Wikipedias. The original example has Africa in Russian and with two tweaks, this same map shows really well in Yoruba, Swahili, Hausa or Zulu. My objective is to bring focus to African content. I am still adding African politicians and this new functionality is too good to miss. It works really well, the documentation is there and it becomes a matter of localising the information for it to provide the same information properly in the languages of Africa. While adding such information it becomes painfully obvious how much is still lacking. It would be cool to have information in long lists like this in columns. It takes more expertise than I have to make this happen. I have not figured out how to get Listeria to update these lists either.. At some stage I will or probably sooner, someone else will help me out.